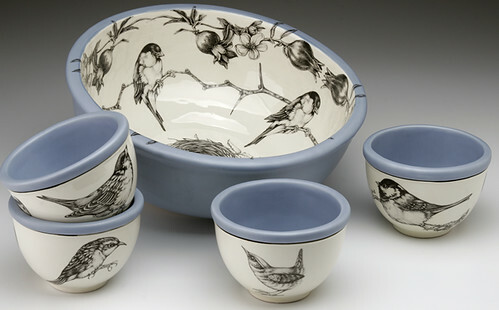 Tucked away in a farmhouse in scenic southern Vermont, Laura Zindel creates unique handmade earthenware glazed and adorned with images that are original pencil drawings by Laura herself. 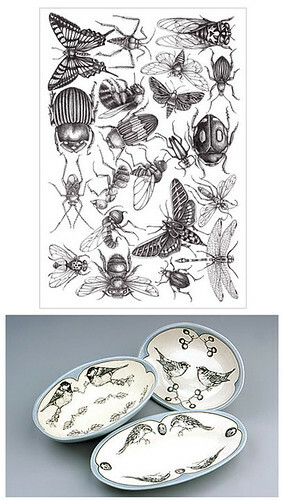 Images of leaves, insects, animals and other natural forms are printed with enamel to become a ceramic transfer, applied individually to each piece and then fired permanently to the surface. 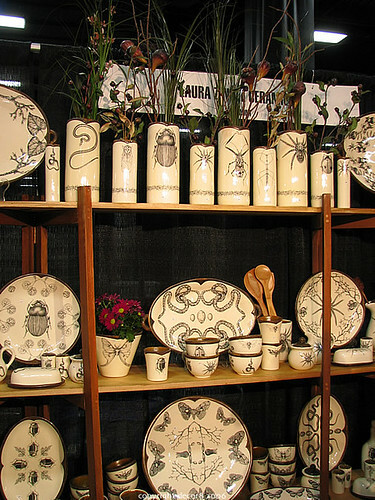 Laura says that this technique is her modern take on transferware. 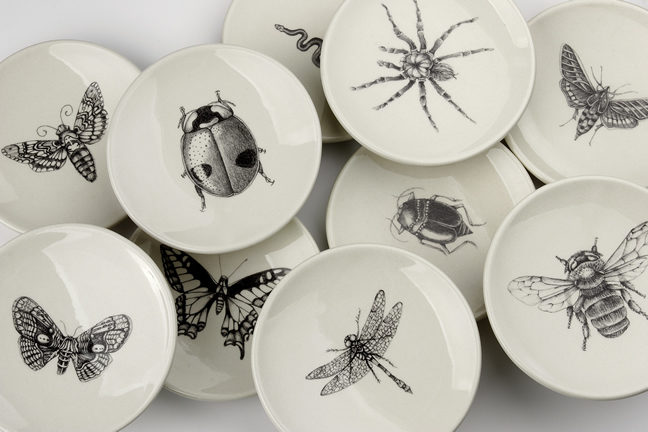 Appearing in such magazines as InStyle, Lucky, Domino and Elle (to name just a few), her ceramics certainly are catching on and for good reason, they are captivating and make quite a statement on display in your home. 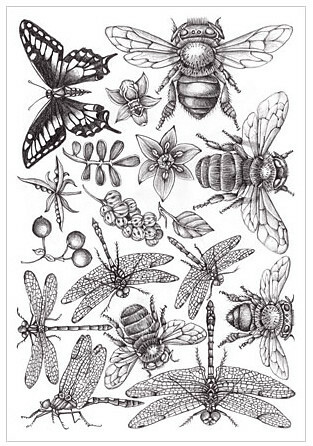 In addition to her ceramics, Laura just introduced a new collection of prints in case you are interested. 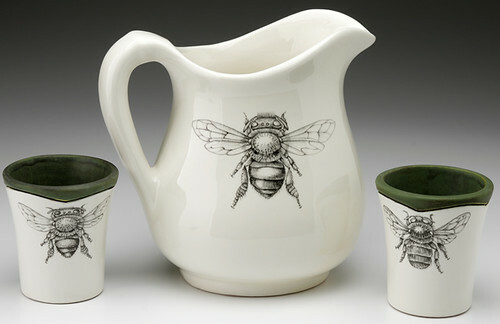 For the locals, if you missed her at CraftBostonn, you can catch her at the Paradise City Arts Festival in Northampton, MA during Memorial Day weekend May 27-29, 2006. Learn more about our day at CraftBoston here.